However, trusts can be complex, and getting it right can be time consuming. At Transact, we are committed to supporting advisers in developing their trust related business through providing both online and offline resources at every stage of the trust planning process. We have also sourced specialist providers in the field of trusts to help advisers deliver the most effective estate planning solutions for their clients. Click on the service provider name below for more details. We are not affiliated with the trust service providers listed below and do not receive a fee or commission for any referrals to them. The contact details are provided for information purposes only and not intended to be a recommendation for any third party service. Any links to websites (other than those owned by Transact) are provided for information purposes only. No responsibility is accepted for their content or their availability. Where enhanced support in relation to trust solutions is required, the providers listed below offer services such as trust administration, accounting, tax advice and compliance support. Preparation of trust tax returns and electronic submission to HMRC (SA900). Production of tax certificates (forms R185) for beneficiaries. Calculation of maximum income distributions. Preparation of inheritance tax accounts for ten year anniversaries and exit charges. In addition they can advise on all tax issues including tax efficient winding up of trusts, securing reliefs from Capital Gains Tax and Inheritance Tax and using trusts in estate planning. Mills & Reeve provide advice on trust administration and taxation, trust compliance, accounting and trustee’s duties and offer a wealth of legal, accounting and taxation knowledge in this area. The firm’s trust corporation can also act as an independent professional Trustee. Solidus is a trust services company who work with financial planners throughout the UK to provide their clients with enhanced advice in relation to trust solutions. WAY Investment Services offer IHT planning solutions. These trusts range from the mainstream (e.g. DGT’s, Loan Trust) to more sophisticated but long established and HMRC accepted, Flexible Reversionary and Normal Expenditure Trusts. WAY also offer Corporate Trustee Services to carry out the fiduciary and administrative responsibilities of trustees including all HMRC reporting, accounting and returns. These services are available for both WAY trusts and external trusts. While all trusts have different requirements, many will need a bank account allowing Trustees to gain access to the trust funds. Please note: the application processes for each bank detailed below varies, so please ensure you follow the processes indicated. Any queries should be sent directly to the respective bank, in the first instance. Full information on the range of trust bank accounts available and how to apply can be found in the trusts section of Cater Allen’s website here, or using the contact information below. 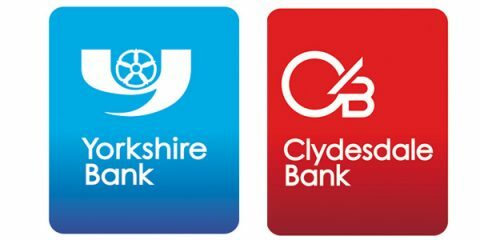 Please contact Charles Seligman at Clysedale Bank for more information on the trust bank accounts on offer and to obtain the necessary application forms. Once completed, please supply these to Clydesdale Bank and Yorkshire Bank. To apply, please download and complete the application forms and accompanying documentation below, and supply these to Transact along with your Transact Trust application. Any queries should be directed to the Metro Bank Partnership Support Team using the details below, also copying in Avril Thomas at Metro Bank. This page is for use by advisers only. It is intended as general guidance only and should not be viewed as a recommendation to use or rely on any of the providers mentioned. The information contained is not advice, nor is it a substitute for advice.